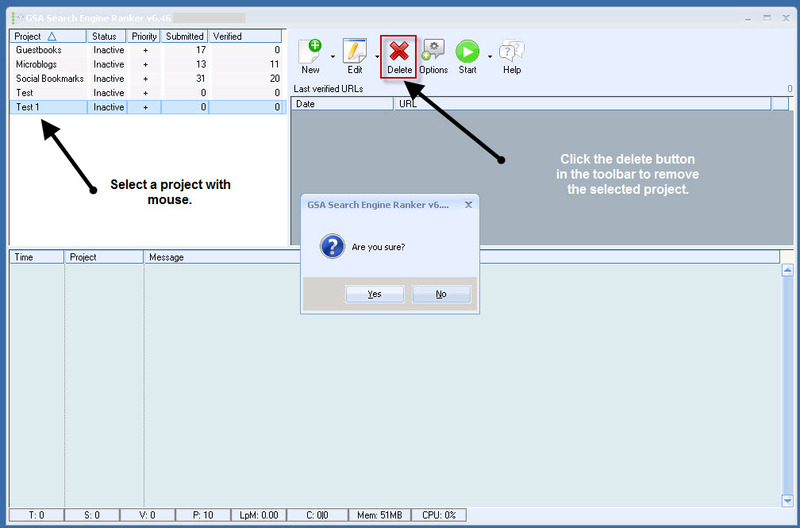 To delete a project, first select a project in the project pane. Then, click on the Delete button in the toolbar. The program will put up a dialog box asking you if you are sure if you want to continue. If you delete a project, there is NO chance to recover any of the data previously generated. So make sure you are 100% sure you want to commit to removal.